Taking a break from Farming after harvesting the current crop on my Farm today evening. So be prepared to find unploughed land if you drop in for a visit! man u retiring from farm ville??? i think zynga ppl will be dissapointd!! 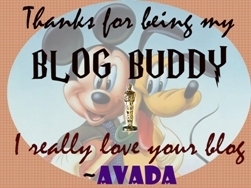 it was soo nice of you to mention my blog!! taking a break frm farmville??? i dont believe it... I just cant get enuff of tht game.. its got me addicted ...!! Heheh.. waiting to c what is the big surprise ;).